Different excursions of AUCA students to the most beautiful places of Kyrgyzstan become the tradition. 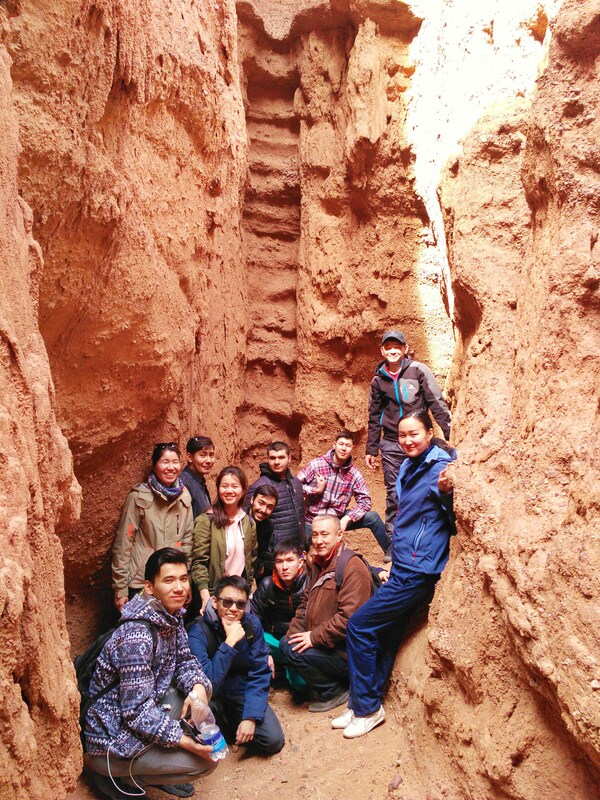 On Tuesday, 20 March 2018, department of EMSD and Applied Geology have organized a trip for AUCA students to the “Konorchek” canyon and “Karagacheva rosha” forest park. The amazing landscapes of Konorchek canyons carry a significant particle of the unique nature of Kyrgyzstan (canyon of red rock walls). It's a fabulous place located 125 km from the capital of the country, in Boom gorge. Konorchek canyon is a mysterious land of intensely coloured and textured formations of red sandstone. It's a wild and inspiring region. A special attention was paid to extinct volcano, age of which is estimated as 2.5-3 million years. The climate in the canyons of Konorchek is quite unusual and original. During the summer time it is very hot and dry; winters are cold, but rather snowless. The aim of this tour was to study of mountain landscapes. As Karagacheva rosha is the most popular park located in the Northern part of the Bishkek, the aim of this visit was to give a lecture to the students about trees and plantations. 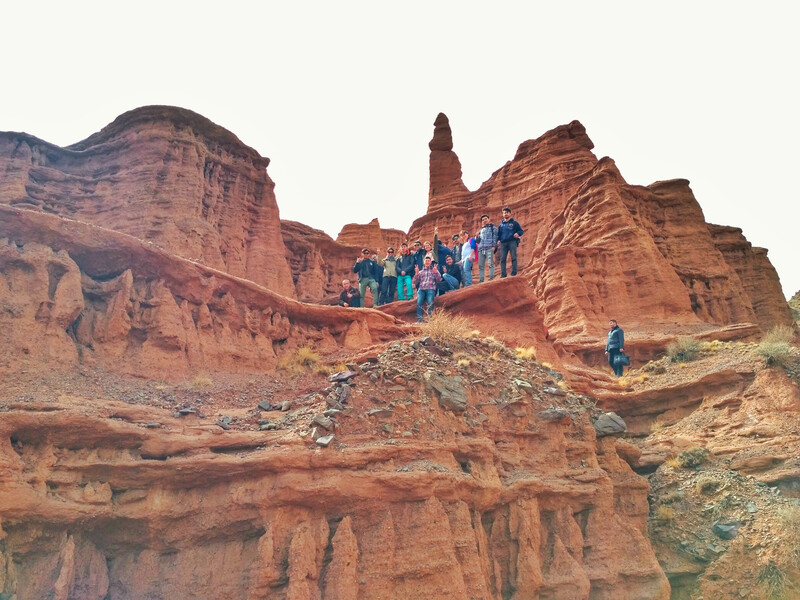 Trip to canyon “Konorchok” and Karagacheva rosha was truly wonderful! Definitely, it is one of the places in Kyrgyzstan worth seeing! It is unfortunate that we have visited only three canyons out of eight, but anyway I really liked it. I did not really expect that such places even exist in our country. Konorchok is not really far from Bishkek and it was really interesting for me as an ecologist – landscape, plants, ecosystems were really striking. Thanks for the EMSD department for providing such an experience! Sharipov Beksultan (LAS-EM-114). We visited place where many years ago was Lake Issyk-Kul and Canyon Konorchek resembled canyon Fairytail. Because of Formation Mountains, there appeared canyons. There were a lot of different rocks, they did not need digging and searching. It was a heaven for geologists. Also professors told about ecosystem of this place: importance of plants, what animals live there and what was grown there many years ago. We recognized many interesting things in such a beautiful place, Noori Mohammad Sadiq (ECO-116).